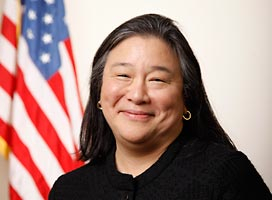 Tina Tchen, chair of the Recording Academy’s task force on diversity and inclusion. SANTA MONICA, Calif. (May 9, 2018) — Tina Tchen, chair of the Recording Academy’s newly formed task force on diversity and inclusion, announced the names of the 16 members joining her in examining barriers and biases affecting women and other underrepresented voices in the music industry and, specifically, the Recording Academy. The task force is set to meet shortly to begin its work with a review of Recording Academy operations and policies across the areas of corporate governance, hiring and promotion, membership, awards, and the GRAMMY Awards telecast. As chair, Tchen will develop an operational roadmap for the task force and update the Recording Academy on the group’s progress on an ongoing basis throughout the year.